View the entire Registrar List here. What’s a Sunrise Launch, you ask? A Sunrise Launch is the first launch period a domain registry (like .moe) must offer. The Sunrise is exclusively for trademark holders and allows trademark holders to secure their trademarked names before a new domain extension becomes available to the general public for registration. By offering trademark holders early access to the TLD registries can help brand owners avoid having trademarked names “cybersquatted” thereby reducing possible future legal disputes. If you have a trademark registered with your local trademark office, you’ll want to contact your Registrar to find out how you can gain early access to .moe. The .moe registry will offer registrations in the following periods; Sunrise, Landrush and General Availability (GA). The Landrush Period is the period that most potential users will want to gear up for. There are a lot of great names that will be in high demand. Since high quality names will be sold in this period the registration fee is a little higher than during the General Availability period, but it’s worth it! 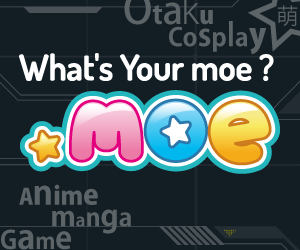 By applying during the Landrush period though one of our registrars you will ensure that you have the best chance to own the .moe name you really want! We’ll process the Landrush applications at the end of the period. If more than one applicant exists for a particular name, the name will be sent to auction. The General Availability (GA) phase is the standard operating phase for .moe. It is first-come, first-served and open to anyone. Applications in this phase will be handled in the order received by our system. If you do not wish to apply for a name in Landrush we’d advise you find a registrar who is willing to take your registration in advance and push it though to the registrar system the second the system begins to accept GA registrations rather than wait until GA actually opens. We hope to have a much wider selection of global registrars to choose from by the time GA begins. If you don’t see your preferred registrar on this list, please email them and let them know you want .moe!